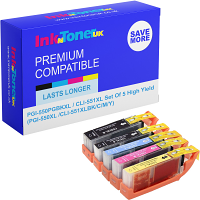 Home Ink Cartridge News Sept 16, 1959 The First Successful Copier! 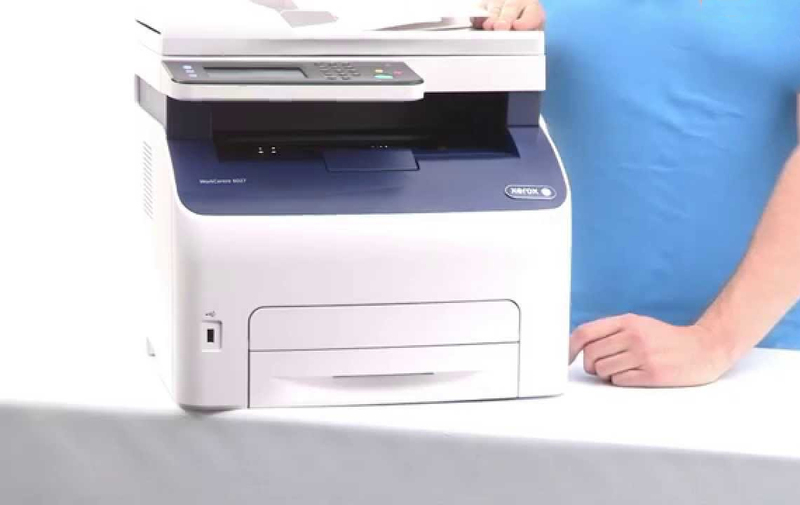 Can you guess which company introduced the first successful commercial photocopier? It was Xerox. Xerox has been around for a very long time and they marked their spot in photocopying history when they introduced the first photocopier to the world. 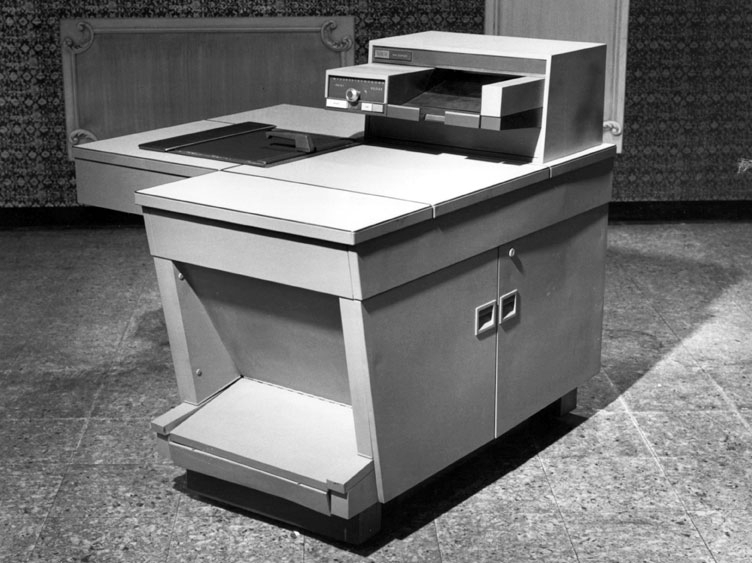 The first successful commercial photocopier which was roughly the size of a desk was introduced by Haloid Xerox on September 16th 1959. Xerox called it the Xerox 914 Photocopier which was broadcast on live television to demonstrate this new machine, first of its kind. It took the Xerox 914 machine around 25 seconds to make one copy which is very impressive at that time considering it was the first ever photo copier in the world. The launch of the Xerox 914 was a success even though if too many copies were printed during one period of time, it would overheat. This could lead to the machine catching fire if used over a period of time. But Xerox had a solution to this. They attached a small fire extinguisher with every photocopier sold. I know this won’t be acceptable in today’s era. Imagine your brand new iPhone 7 Plus was shipped with a small USB fan, because it was overheating?? How ridiculous would that be. 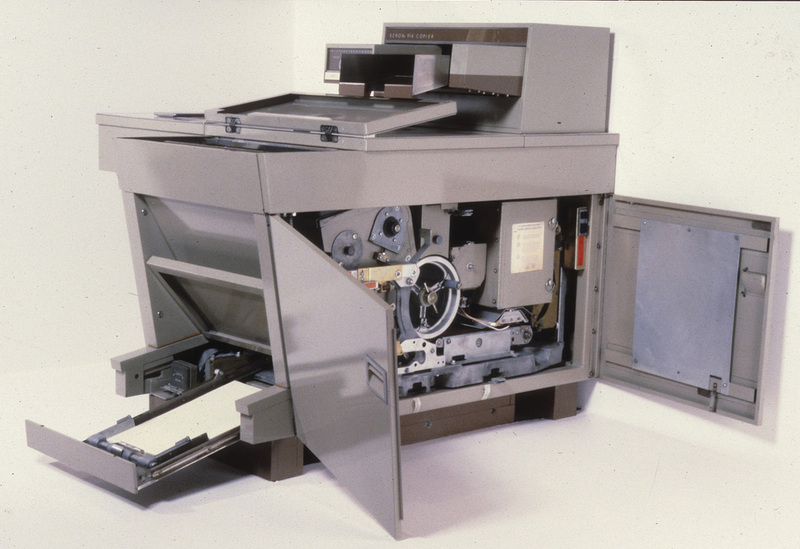 Take a look below at how the first Xerox photocopier looked compared to today’s newer models.